If you want the best, it’s simple … it’s Dave Eisenberg. Dave treated every aspect of my case with the utmost care, consideration, and attention to detail one can imagine. Not to mention, Dave treats me and my family with an incredible amount of love and respect. Dave takes every viewpoint into consideration, as well as, added substance to my case in ways I didn’t know existed. His deep knowledge and experience gave me great confidence and hope in a somewhat hopeless time. – Brandon G.
David Eisenberg represented me in a complicated criminal tax case involving multiple federal felony indictments. I found him to be thorough, straightforward, and bluntly honest. He communicated to me clearly the issues involved and possible outcomes. In all areas, he exceeded my expectations and more than lived up to his reputation as one of the top criminal attorneys in the United States. – James B.
David Eisenberg is one of the finest attorneys I have ever met. He genuinely cares about his clients. His courtroom demeanor and skill at handling opposing counsel, judges and the complexities of criminal litigation is second to none. His understated presentation belies his strength as a criminal defense attorney. If you want an attorney who uses courtroom stunts and antics to manipulate the court, please look elsewhere. 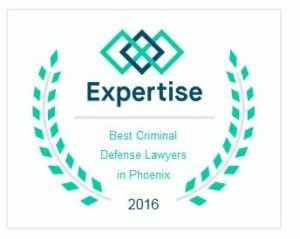 If you wish to be represented by an attorney with the highest integrity, skill and abilities, David Eisenberg should be your first call. – Russell S.